Here at EME we love bringing brands to you that pride themselves on their commitment to ethical and sustainable practices. If you’ve been with us for a little while then you’d know we mainly focus on fashion, but when we see a company that is making it easier to live more eco-friendly in other ways then we are all ears. We’re also suckers for a good slogan, and boy does this business deliver. Sorry, had to. 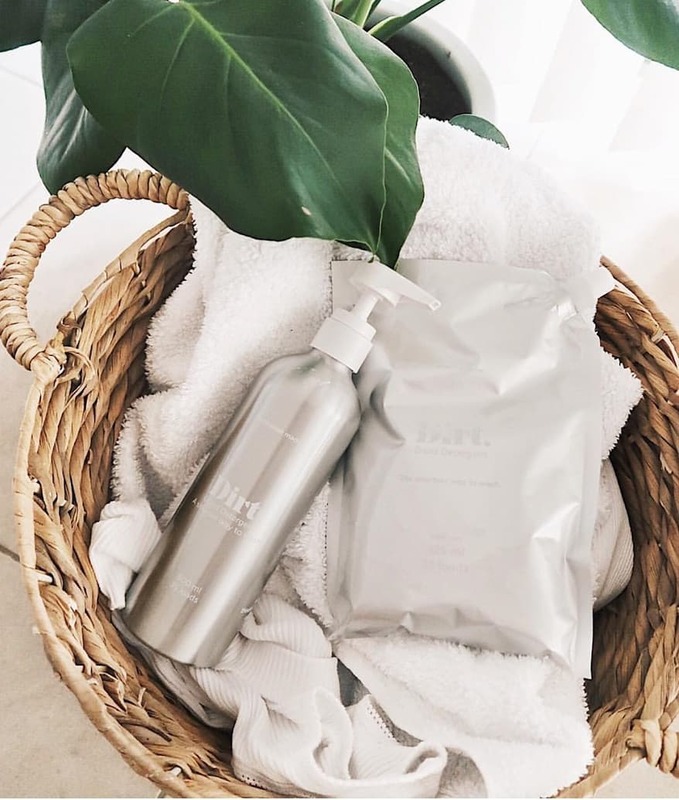 The Dirt Company is making an eco-friendly, harm-free laundry detergent accessible and affordable to those of us who are trying to lead a more conscious lifestyle, and they’re proving to be an absolute game-changer in a market that was well overdue for a shake-up. They came, they saw, and they bloody well conquered. 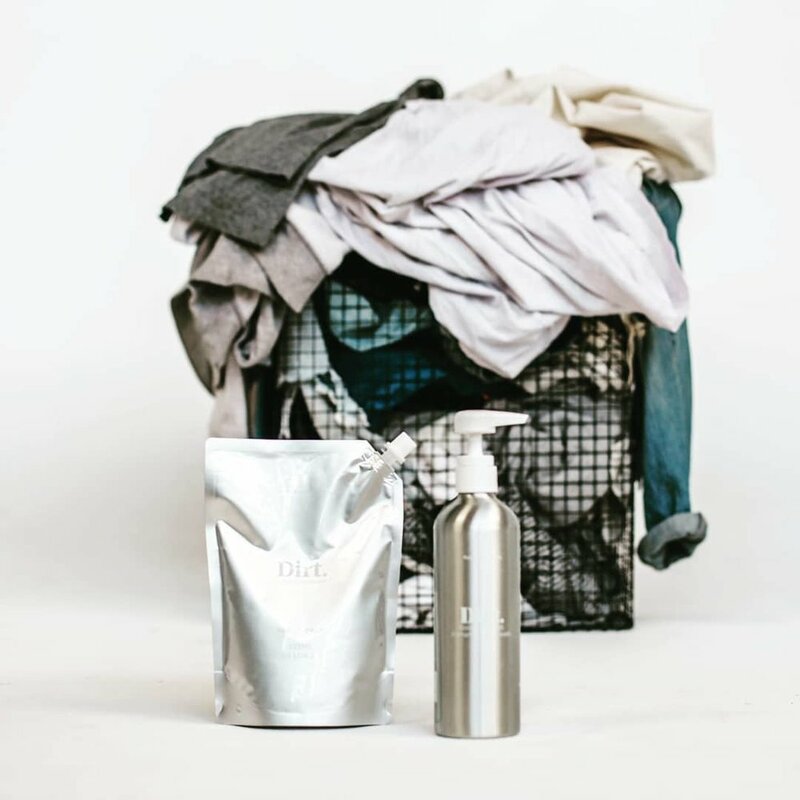 Dirt’s founders, a group of creatives with an urge to help, brought this company to life based purely on a shared desire to reduce the amount of plastic involved in the wash cycle. They wondered why there was a massive gap between the harsh, chemical-ridden cleaning products, and those that were environmentally focused but came with a price or performance sacrifice. So, they decided to fill this gaping hole with a product that not only works (EME wine-on-white-pants tried and tested) but that’s formula uses plant-based chemicals with no trace of parabens or phosphates. It’s also extremely concentrated which means less product is needed, and because the frequency to renew is reduced, there’ll be more money in your pocket in the long run. Their minimalistic approach to product design only enhances a reflection of their core values: “less plastic makes a big difference”. Aluminium, a recyclable and sustainable material (that actually makes up 8% of the earth’s crust) is used in the packaging of Dirt’s products. They also introduced a refill system that further reduces plastic waste, and a Refill Return program wherein the returned refill packs are reused. The Dirt crew’s even allowing their profits to filter through them by donating 50% (!!!) of their profits to The Ocean Cleanup: an organisation working to develop new technologies to rid our oceans of plastic. 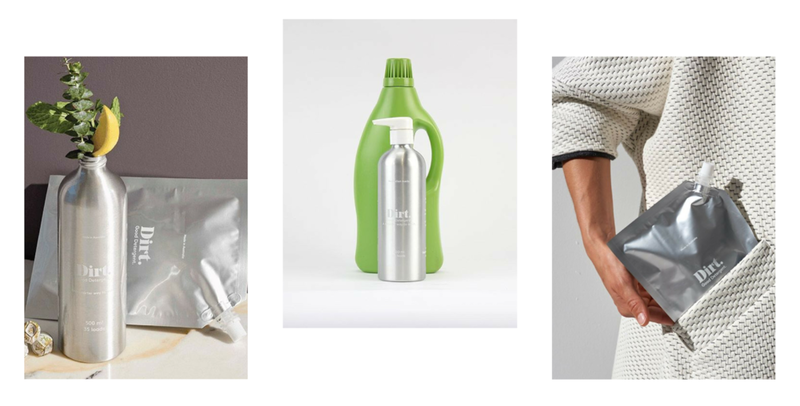 This brand’s need to reduce the unnecessary use of plastic is nothing short of inspiring. Dirt’s also great value for money: when you look at it from a cost per load perspective, it’ll cost you roughly 26 cents per laundry wash (cheaper than competitor brands) and half of that going towards helping to clean our oceans. We can’t fault The Dirt Company, and their passion is contagious. GET YOUR CLOTHES CLEANER WITH DIRT, HERE. 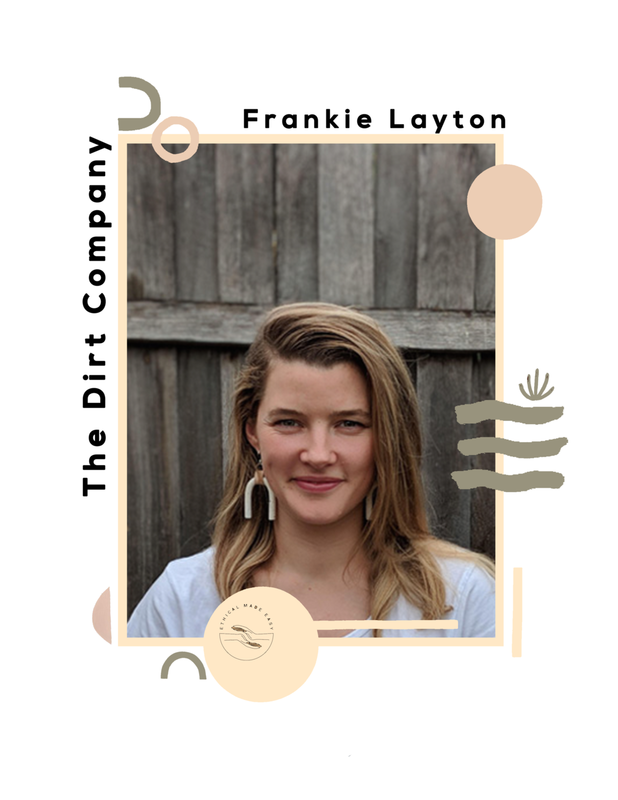 An interview Frankie Layton, the founder of The Dirt Company. What is something others wouldn't know about laundry detergent that you think they should? Oh gosh, so much! I think because it’s always been such an uninteresting part of our lives (until now of course!). If I had to pick just one thing, I’d say when it comes to detergent, less is more. People think that dirty loads need more detergent, but if you overdose your machine too much you’re actually reducing performance – especially in front loaders. Very basically, this is because your machine relies on the friction created when your clothes are tossed down into the water. If you have too many bubbles in your machine, your clothes don’t crash down, they slosh in. On top of that, if you have too much detergent your rinse cycle is unlikely to wash it all out. Chemicals made for cleaning that are left on your skin can cause allergies. Many people who react to detergents, do so because there’s a lot of detergent left on their clothes when they pull them out of the machine. So they switch to sensitive detergent, use a bit more because it’s less potent, and find themselves in the same situation agin. It’s easy to save money, your clothes, and your skin, if you stick to the recommended dosage. Hmm well I’m only three weeks in and so far the product reception has been pretty exciting, but I have to say, product development was tough! Partially because I’ve never done anything like it before, partially because our order quantities were much lower than the likes of other brands and perhaps most predominately because there is so much information that has to be considered. Public opinion does not always match that of the chemists, manufacturers often have differing views to suppliers, and the internet will tell you everything you want to hear just depending on how you frame your question. It was a challenge to wade through our options to find the best solutions. I’m happy we took the time though, both to make our choices and explain them to anyone interested in our product, because now we can rest easy knowing every decision we made was an informed decision, and customers can make their choice under the same premise. Within the ethical fashion community, there's a big question that we ask which is 'who made my clothes?'. In the scope of Dirt, who made your laundry detergent? Can you tell us a bit about them? Well, we had a team of chemists based in NW Melbourne that created the formula. We sourced the ingredients from pretty much every corner of Australia. We passed them on to a product manufacturer in SE Melbourne, then we drove the batch down to Fish Creek where we currently bottle the product. We love how local our product is. If ever we’ve had a hiccup, we can pick up the phone and call whoever we need to help us fix it. Our actual team currently is very modest. Our web developer is currently in Serbia doing a remote year, our mentor is up in Fitzroy Crossing doing work in the indigenous community, our industrial designer is always somewhere between Melbourne and Adelaide, and I am based here in Melbourne doing the groundwork. You’ve got to get in so deep, failure isn’t an option. I probably spent about three months sitting on the nearly ready product. I only needed a week to turn around launch, but I had a full-time job and was very ‘busy’ all the time. At some point, I realised that my work had become a good excuse not to push too hard. I had an income, squishy chair at the table, and was pretty comfortable. So I quit. I miss my workplace, but so many doors have opened up just in the short two weeks we’ve been up and running. And now, I look back and wonder what took me so long. As above, if you have an idea and you really want it to work, make it your only option. Where do you envision Dirt in the future? We hope Dirt Laundry detergent becomes the spearhead of a sustainable cleaning movement. Our heads are full of ideas about the next product iteration, the next product, the next campaign. For now we are hoping that we can make it through the startup phase, and get enough momentum behind us to continue creating in the future. Dieter Rams. I’m a total groupie. His is philosophy ‘less, but better’, is absolutely everything we mean when we talk about sustainable products. If you’re not familiar with his ten principles of good design, you should have read. Oh another tough one. I’m going to say read (for leisure) the Dark Lake by the super talented human, Sarah Bailey. It’s her first book, but I am quite sure it won’t be her last. Kari Layton from Lott Studio. I’m biased because she’s my sister, but she is probably the most authentic business person I know. She is creative, clever, and gives her whole heart to her customers, for whom she makes beautiful jewellery. She’s an artisan in every sense of the word.